Expires in 1mo . Last validated 1wk ago . Used 7 times. 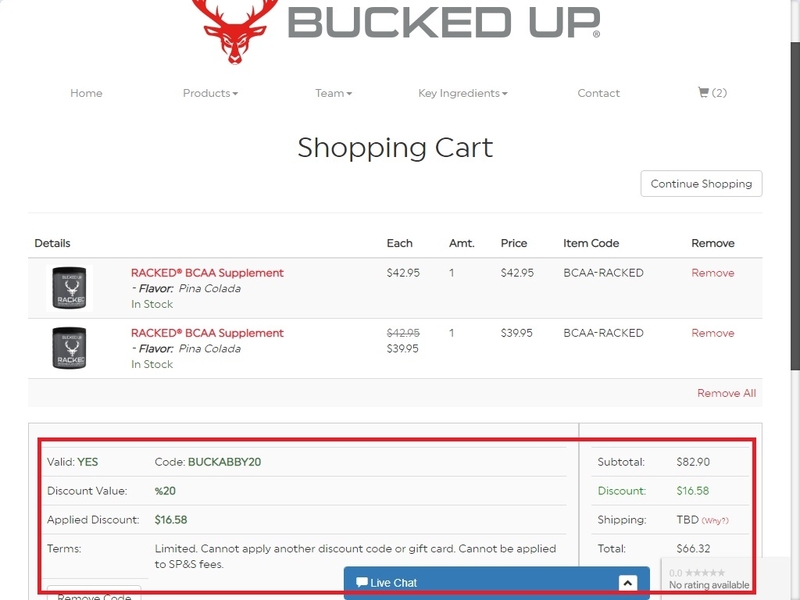 Liz Saloney This great deal is working as described, go to the store, add your items to the cart, use the coupon and get 20% Off Your Order at Bucked Up. 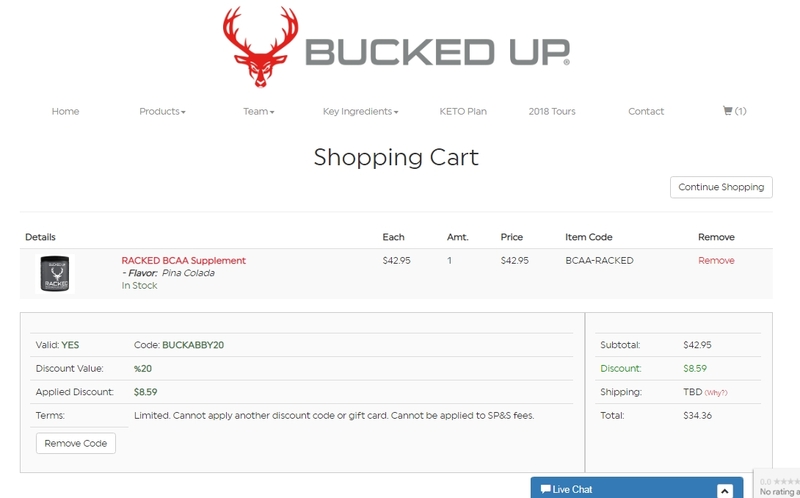 andres navarro I am validating that this deal Works as described, just apply this promo code at the shopping cart and get 20% Off Your Order at Bucked Up (Site-Wide). Ale Briceno Vill This deal was tested and works as described. Select your products and enter the promo code at checkout to get the discount.